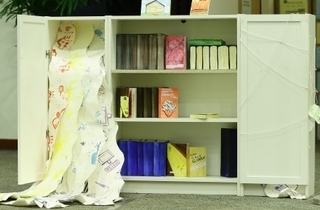 Displayed in a library bookshelf, 'Born of Paper' is a work by Charlene Shepherdson and consists of seven one-page excerpts from a short story entitled Paper by best-selling local author Catherine Lim, showcased as paper craft as well as found poetry. Members of the public are encouraged to browse through the exhibits. 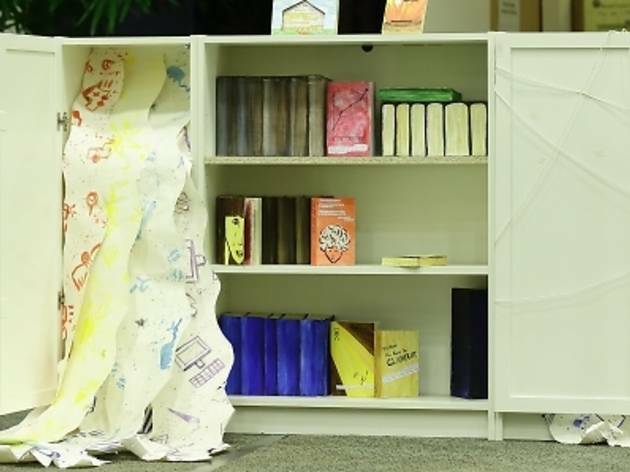 The event is part of Project LAVA, an initiative by the National Arts Council that aims to engage audiences through visual art installations inspired by literary works.